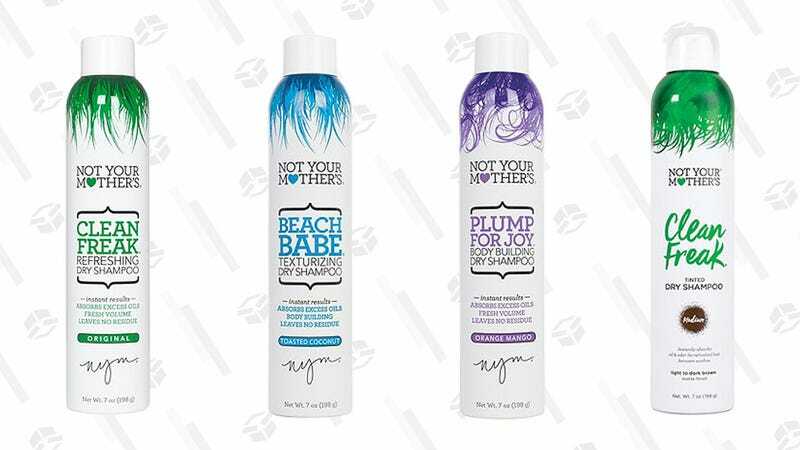 You’ll probably have to wash your hair some day soon, but thanks to this sale on Not Your Mother’s dry shampoo at Ulta, that day is not today. Stock up on bottles of the brand’s top-rated Clean Freak spray, which comes in original, unscented, tinted, and sweet-smelling tapioca varieties, or revamp your style with texturizing and volumizing sprays. No matter which you choose, you really can’t go wrong, since all are up for grabs for just $3, so don’t let this deal go down the drain.